The Partner-level status is Deere & Company's highest supplier rating. TMHU was selected for the honor in recognition of its dedication to providing products and service of outstanding quality, as well as its commitment to continuous improvement. Toyota representatives accepted the recognition during formal ceremonies held this month. 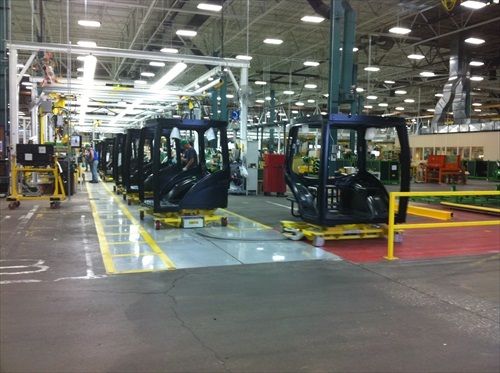 Toyota is a supplier of material handling services, including forklifts and Automated Guided Vehicles to John Deere's operations nationwide. Suppliers who participate in the Achieving Excellence program are evaluated annually in several key performance categories, including quality, cost management, delivery, technical support and wavelength, which is a measure of responsiveness. John Deere Supply Management created the program in 1991 to provide a supplier evaluation and feedback process that promotes continuous improvement.